Good morning! 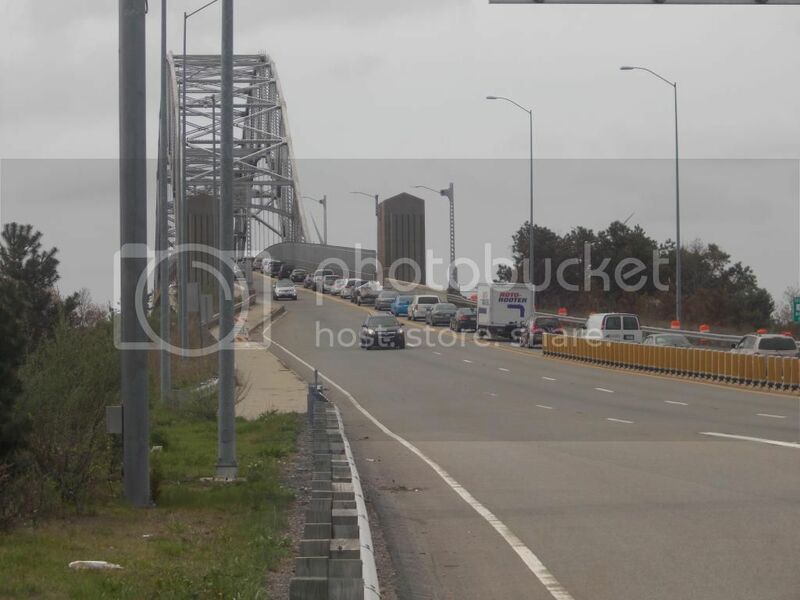 Prepare for some delays if you plan to head onto Cape Cod today, as the Sagamore Bridge will have a lane closed for most of Wednesday. What's causing this is MASS DOT cleaning some roadside vegetation. They'll be at it for most of the day, or at least the 8 AM to 4 PM part of the day. 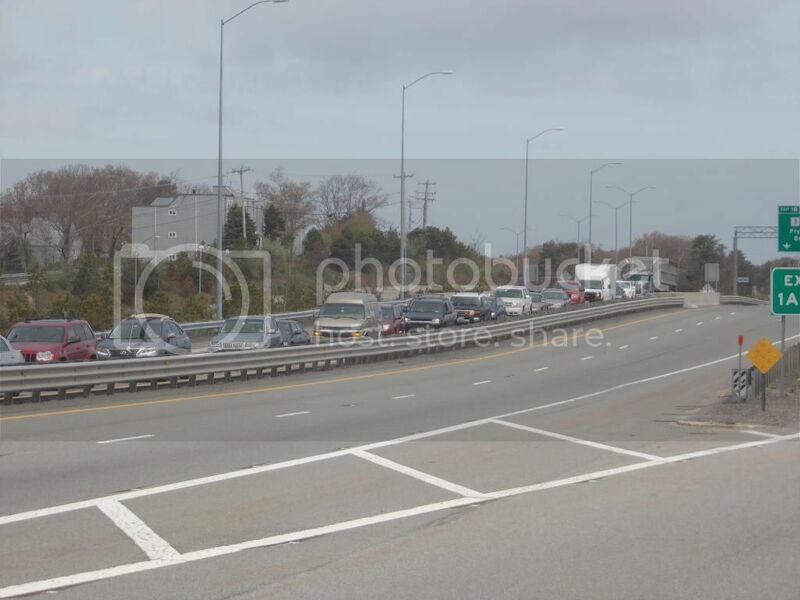 They'll have one of the northbound (heading on-Cape, Pilgrim) lanes closed. The lanes heading off-Cape will have no restrictions. This website already told you about it yesterday, and we're doing so again now. If you get caught up in traffic today, it's your own fault. To get email updates on Bridge concerns, sign up by sending an email to: [email protected] with the subject title “Bridge Alerts.” An email alert is sent when there are major changes to the bridge work status or schedule. If you're a regular reader of this website, you don't have to do it, because you have Us. 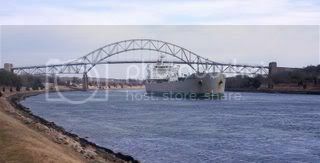 To watch the suckers who don't read Bourne This Way and who then get caught in Sagamore Bridge traffic, check the Sagamore Bridge live-cam. If you do get stuck on the Saggy today, make a point to enjoy some of the wonderful views. Here's what you see sticking the camera between the bars and aiming it at the power plant and the Cape Cod Bay egress of the Canal. Traffic is piling up some. 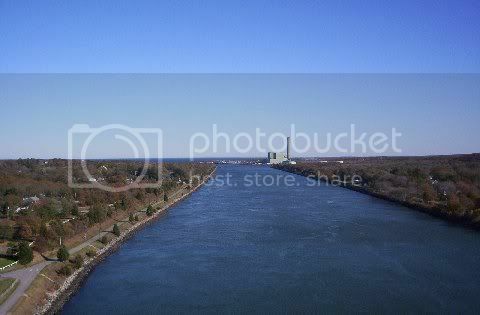 We were just on the bridge a while ago, and snapped some shots. While we were snapping these pics, some guy in a nice car waited until the last second to merge, and some carpenter-looking dude started yelling "You think you're better than everybody???" at him. Traffic had stopped, so the rich guy had nowhere to go. I was going to yell at the carpenter guy to try to start a fight, but we didn't have the guys with us, and I'm 5'2".